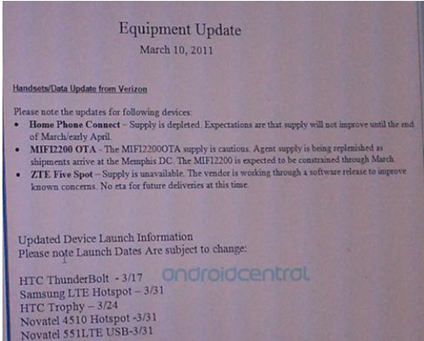 We've now got a solid date for the long-awaited CDMA version of Windows Phone 7 - the HTC Trophy is due to launch March 24th on Verizon, which incidentally coincides with the equally long awaited NoDo update. Coincidence? Don't think so - both were originally supposed to come out in February, going by hints back when WP7 first launched. Still, better late than never, though Microsoft is slowly losing momentum on WP7. Will the Trophy help bring some needed market push? Hopefully so, and a successful NoDo rollout would be even better.